Slip into the super-soft styling of our cowl-neck alpaca sweater. 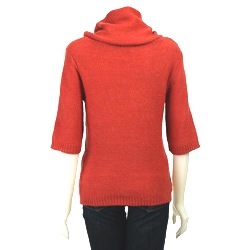 This cable-knit alpaca sweater features elbow-length sleeves. 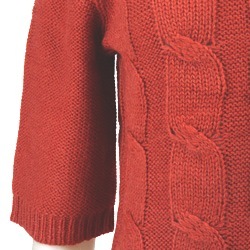 Made of a soft-to-the-touch, alpaca blend, this lovely alpaca sweater features jumbo cables on the front with pullover styling, ribbed cuffs and hem.